Does your front porch, garden or yard need a little style update? Awesome! We can help you with that. We understand that the appearance of your home matters just as much outdoors as it does indoors and carry a wide selection of products to help you decorate the most stylish porch, garden or yard on your block. 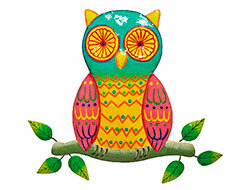 Go ahead and browse our selection of garden flags, watering cans, outdoors banners/wall plaques, outdoor pillows, door knockers, bird feeders and so much more. Enjoy fast, free shipping on thousands of unique items flagged "Free Shipping". The most unique and custom pieces that can only be found at Mary B. We care about your shopping experience & want to hear from you. We always provide our customers with high quality at a low price. Copyright © Mary B Decorative Art. All Rights Reserved.